We had the privilege of participating in the international seminar which was held at Exeter University in England between March 11 and March 25, 2018. We were sent to represent the College as part of the PROTEACH project, which is one of the European Union’s Erasmus Plus programs. 6 teacher-education colleges in Israel partner in this project: Kaye College, Beit Berl, Seminar HaKibutzim, Talpiot, Sakhnin and Gordon, as do 4 European universities: Salzburg – Austria, Exeter – England, Tallinn – Estonia, and Bucharest – Romania. The Teacher Education Induction unit, led by Dr. Haya Kaplan, partners in this project. We participated on behalf of the Special Education program, headed by Dafna Linker-Govrin, which operates in cooperation with the Teacher Education Induction unit at the College. 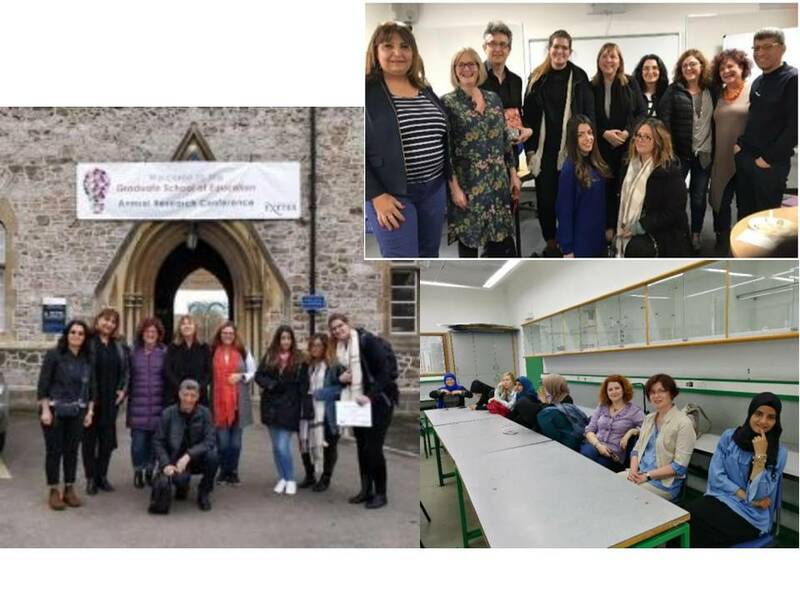 Partners from the College staff included Dr. Haya Kaplan, Dafna Linker-Govrin, Dr. Abrahim Alvadore, Dina Shchada, Dina Ben Yaish and Anat Kessler. The purpose of the seminar was to introduce new methods of teaching and learning in English. Our facilitators at Exeter were Dr. Karen Walsh and Dr. Brian Sami, along with other staff members from the university who escorted us professionally and contributed to our feeling of belonging to the group and to the place. We sampled a variety of workshops and heard lectures which incorporated peer learning (student representatives and lecturers from Israeli colleges and European universities). We acquired important tools and information that contributed, and will continue to contribute, much to us as students of teacher education. We visited different educational facilities in Exeter, ranging from early childhood education to high school; for early childhood education, we were hosted by a kindergarten called “Exwick Heights,” while for high school education, we were hosted by a school called “Newton Abbot College.” We learned the idea behind the “school vision” of each institute, as well as the “guiding principles” by which the school is run, in order to nurture students in various ways, based on the populations studying within it. We focused on four topics over the course of our visit: 1) The personal and professional identity of the teacher – the teacher’s feelings in class and thoughts of how to improve in the future, 2) The teacher’s professional learning – lesson content, levels of thoughts, relation between lesson parts, and more, 3) The students’ learning – how did I behave as a teacher so as to foster communication and discourse with the students, providing students with feedback, encouraging and generating discourse in the classroom, 4) class management – the meta-skill of self-regulation, managing interpersonal relations and organizing the environment prior to and while teaching, so as to cultivate learning conditions, a feeling of confidence and belonging in class. The connecting thread between all topics of study was replication as a tool for learning and for ongoing improvement. Focusing on all four of these different areas allows us to see how teaching style is expressed in different schools in England, and how education in Israel differs from that in England. In the second week of the seminar, lecturers joined us from Israel and from various European countries. We shared with them the experiences we had acquired during the first week, and continued learning together by participating in workshops and lectures, while addressing the topics we had started studying in the first week. The presence of the lecturers contributed to enhance the seminar experience, thanks to the sharing of ideas between young students – tomorrow’s teachers, and lecturers with experience and rich insight in these fields. At the concluding convention, we gave a presentation of the information we had gained from peer learning, from the various workshops and trips to schools. By the end of the two weeks we had gained much insight and many ideas to implement in future, improving and deepening our knowledge and practice as teachers.